Create movies from your photos! Automatically adjust your slides to the beat of your background music. 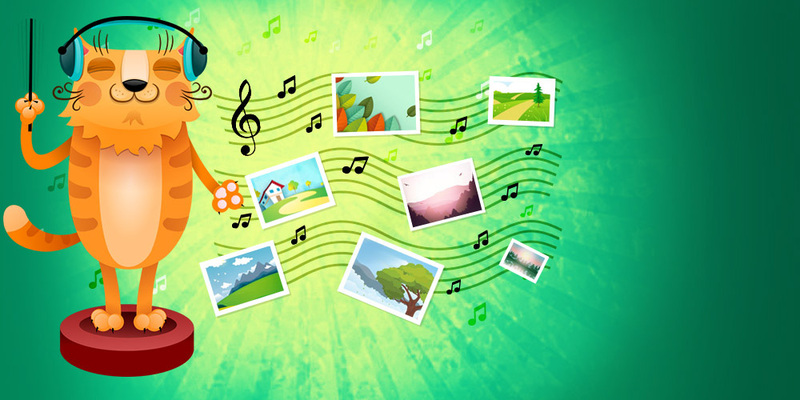 Sync your slideshow with music! Slideshow Wizard will help you create a video from your photos almost instantly! Change the clip order in the automatically compiled video by clicking the Shuffle button on the Preview tab of the Slideshow Wizard. In callouts, you can now change the style of arrows, set their custom length and direction. And they look much better than the arrows we used to have. Drag and drop filters from the Filters collection to several selected clips at once. Eliminated the most common cause for the program to unexpectedly shut down. Make objects move on the screen with the new Animation feature. More love and travel themed stickers. The difference between the original image and the image with an applied effect is more noticeable with the new preview picture. General improvements for a better performance. Create slideshows even faster with Themes: Family, Birthday, Love Story, Action, and Travel. Each theme has its own transitions, titles, and background music. To create a slideshow, all you need to do is just upload photos and choose a theme – it’s that simple! Extensive collection of intros and outros to make your slideshows really stand out. 3 catchy music tracks: Love Nest, Make a Wish, and Seize the Day. Revamped timeline. Every track is now clearly visible, which makes creating movies much simpler. Thanks to the Fast Track HD technology, working with large files will now results in much fewer freezes and lags. The preview screen now has handy guide lines to help you work with titles, stickers, and other tools more precisely. New editing tools including zoom, crop, chroma key, highlight and conceal, video stabilization, slow motion. 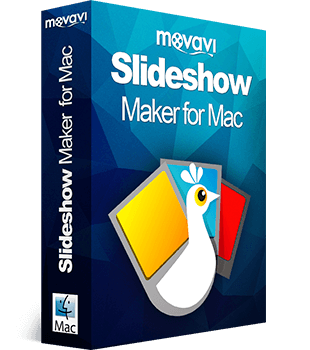 Movavi Slideshow Maker for Mac is here! With Movavi Slideshow Maker anyone can turn their photo collection into a cool slideshow. 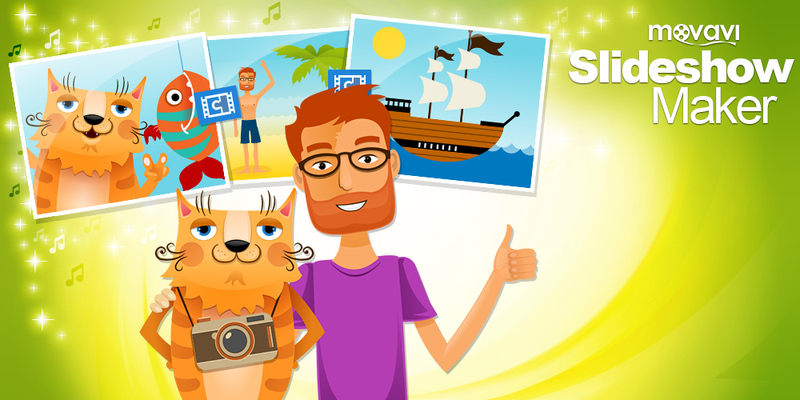 Upload photos and video fragments, add music and transitions, and present the result to your friends and family!